Collaborative robots have come a long way in a very short period of time. It seems like just 5 years ago at trade shows people were talking about cobots as an almost magical new breed of low-cost robots that don't require a safety fence, can be set-up in minutes and can operate safely right next to humans. 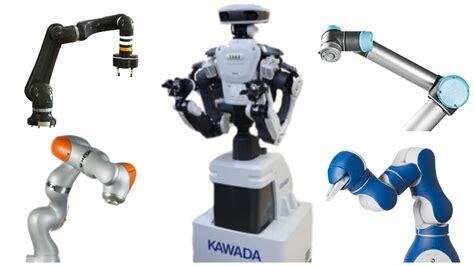 Today, of course, cobots are well-established and trusted solutions. And at the same time, cobots remain the fastest growing segment of the industrial robotics market. 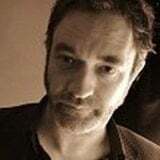 It's a good place for a technology to be. 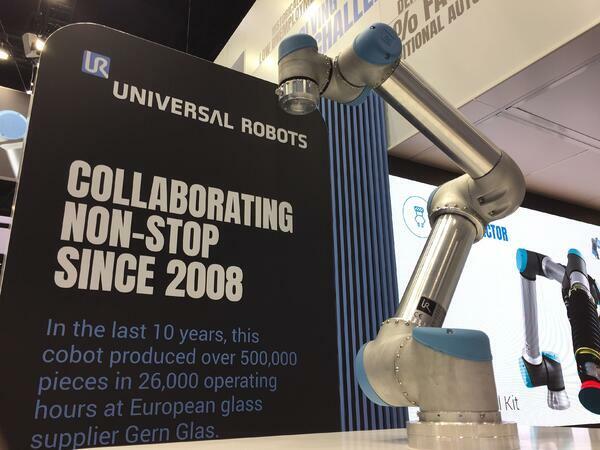 Our friends and partners at Universal Robots --the most successful cobot firm of them all-- has been a pioneering presence in the field of commercial collaborative robotics from the very beginning. Since the company's official foundation in 2005 and its first sales in Denmark and Germany in 2008, Universal Robots has sold more than 31,000 cobots. 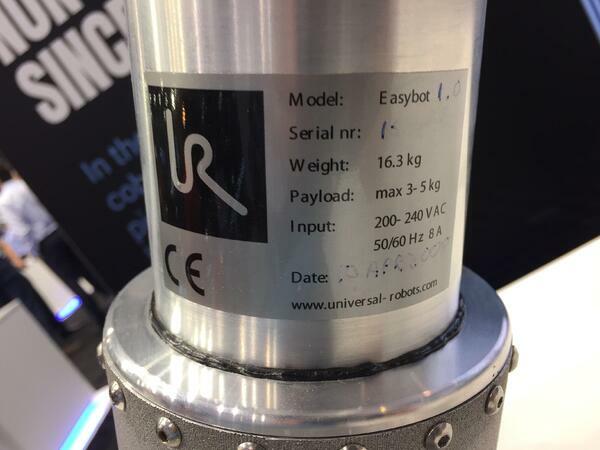 So, we were very excited to discover this piece of cobot history on display at the Universal Robots booth (#7154) this morning! In ten years of service, Easybot helped produce more than half a million pieces for European glass supplier Gern Glass. 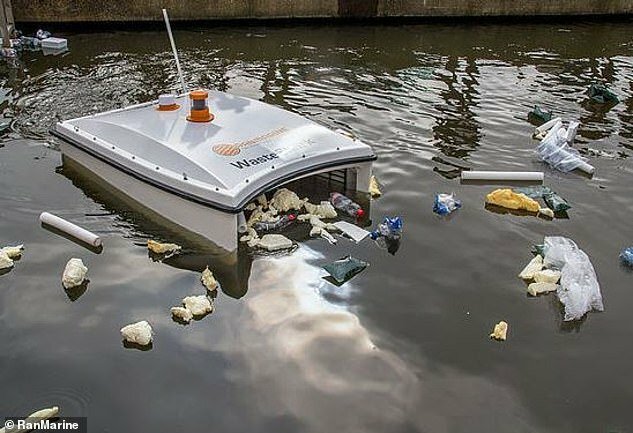 Easybot is retired from use and now it's on tour; a fascinating piece of cobot history and a reminder of just how far human-robot collaboration has come in a little over a decade. Read about the history of Universal Robots here. Coming Next: MORE Cool Tech for Manufacturers @ Automate 2019!